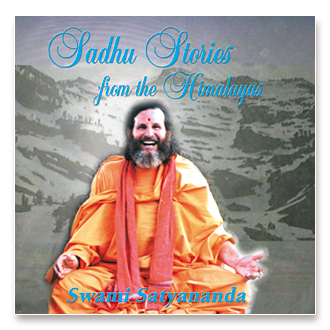 Sadhu Stories from the Himalayas is a selection of parables told by Swamiji that teach life lessons. Swamiji’s storytelling is appealing to children and adults alike. They are narrated in a simple way, in simple words, but the stories convey a big message, and are very captivating. I love this CD! The way Swamiji tells stories with such vividness, and all of the background sound effects and music brings the story alive. More than that, the parables of the stories are so full of ancient wisdom, I can’t help but share these with my loved ones. My nieces and nephews especially like to act out the parts as they listen. It’s great fun!